Chapter leaders support our global leadership team. 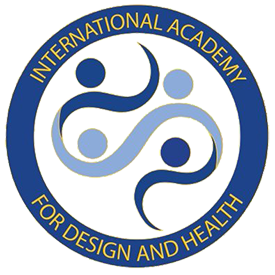 Collectively, we will work together to further the vision of IADH. Leadership Committee will also work independently to address issues and provide services that are relevant in each region. As a member of a regional chapter committee, you will help to shape the goals, structure and activities of the chapter, build its network, and work with the global team on the broader journey of the Academy. The academy is always looking for energetic & enthusiastic people who share our vision to become involved in a leadership position. The Young Leaders Program is an outstanding program for professionals across all sectors covering the topic of healthy environments to expand their skills and further their career. The program’s purpose is to develop ‘reverse mentoring’ relationships with new and existing members of the Academy, where both mentor and mentee learn from each other. The Academy’s Mentoring Committee is committed to creating and supporting a strong community of professionals and to providing the tools and resources required for a successful program. We are pleased to announce that applications for mentors and mentees in all global regions are now open for members of the Academy. Applications are NOW OPEN until 11 May 2018. Applications will be reviewed by the Academy’s Mentoring Committee, and the program pairings will formally begin by mid June 2018.